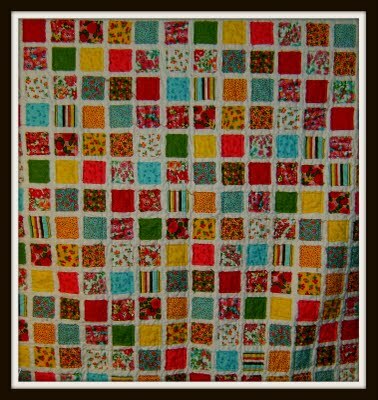 I've blogged about this quilt before. I still love it though. i LOVE this quilt. in fact, i think i'm going to try to find it, so i can curl up and fall asleep. What cute material in that quilt. It is so cheery and colorful. Great job!